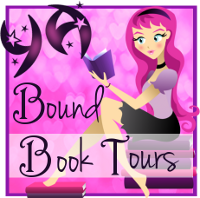 Entangled Embrace Launch Party & Kindle Giveaway! Summary from Goodreads: "One thing my mother never knew, and would disapprove of most of all, was that I watched the Garretts. All the time." 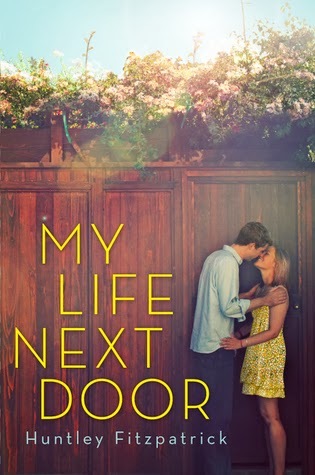 I absolutely LOVED My Life Next Door! This book definitely has to be one of my favorite contemporary romances! Not quite enough conflict. The first half of this book had very little conflict. I still found myself loving the story, but I found myself wondering why it was so engaging - it wasn't really the plot, it was the characters! The second half of the book (or maybe a bit less) DID have a major conflict that wasn't resolved quickly, so this did get better. The other thing that bothered me just a little bit is that when there was a conflict between Jase and Samantha, it was resolved just a little too quickly and easily. Jase was very forgiving, so when there was an issue between the two of them, he might get upset for a half a page or so and then he'd let it go. This seemed a bit unrealistic to me, but it only nominally reduced my enjoyment of the book and I couldn't even bring myself to take off a half star for it. The Garrets. The Garrets have got to one of the best fictional families ever. I love just about everything about their family dynamic - the fact that they were loving, but not so incredibly sweet that they were unrealistic (just look at Alice), that they placed such a high value on family and that they supported each other through thick and thin. I was especially enamored with George - he has got to be the most adorable kid ever and I loved every scene that involved him!! Samantha and Jase. I absolutely loved Samantha and Jase together. Jase was the kind of irresistible guy I could totally see myself falling for - he wasn't a bad boy, but wasn't unrealistically or overly sweet either - just charming and lovable and fun. Samantha found such a sense of belonging with Jase and with his family - it broke my heart when things went wrong for them. I loved the sweet, fun moments between these two and even the awkward first-love moments. Such fun! Family issues and doing the right thing. The family dynamics in this book were extremely interesting. While I already mentioned that I loved the Garrets (they needed their own bullet point), the other families in the book got their fair share of time as well - they just weren't portrayed quite as positively. Tim and Nan have to deal with absentee, oblivious parents and Samantha has to pretend to live a picture perfect life even when things at home are more than intolerable. In addition, I loved the theme of figuring out how to do the right thing in a seemingly impossible situation. This moral struggle really made the book interesting. Tim. I was so excited to see that Fitzpatrick's next book is going to be about Tim because I so loved him in this book! He was really a mess - an addict that couldn't get his act together - but he grew so much in this book and I couldn't help but root for him. I can't wait to read more of his story soon! If you're a fan of YA contemporary romance, you are sure to love My Life Next Door! I highly recommend it! 5/5 stars. Q: What’s your favorite Thanksgiving Day food? Well, I have to say that I think I love the turkey the most, but I really love just the whole meal!! This year we skipped out on the sweet potatoes, so I'm kind of missing those, but we did still have homemade cranberry sauce (YUM! ), mashed potatoes and gravy and green bean casserole. What's not to love? 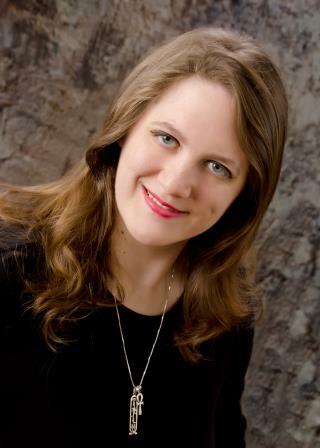 Summary from Goodreads: Maggie McCray has worked her whole life for the opportunity to attend Sanders College. It’s her one chance at becoming a world-renowned artist, and she’s determined nothing will get in her way. But when a murder brings Maggie and her powers to the attention of the Alpha Pack and the tragically handsome Charlie Hagan, her carefully planned future hangs in jeopardy. Charlie Hagan isn’t happy when the Alpha Female assigns him as Maggie McCray’s personal bodyguard. Just being near the Thaumaturgic threatens to unleash the primal instincts he’s been suppressing for so long. Charlie knows if the coyote is uncaged, then the person he’ll most need to protect Maggie from is himself. I so enjoyed Fragile Brilliance! 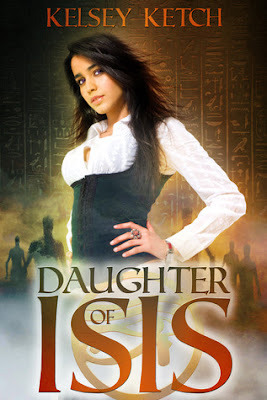 While the story was compelling and the paranormal world was intriguing, it was really the characters and the romance that made this a fantastic read. I LOVED Charlie and Maggie! The synopsis describes the book well, so I'll skip right to what I did and didn't enjoy. Not a lot of paranormal activity. 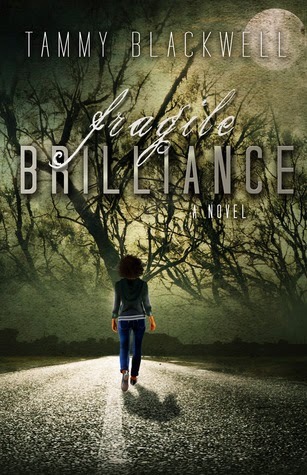 For a paranormal romance, there actually isn't a ton of paranormal in Fragile Brilliance. Blackwell has created a very interesting werewolf/coyote society, but we don't see them in action much. And Maggie has a power, but we don't see that at all until about 75% of the way through the book. Luckily, I was so wrapped up in the relationship that was building between Charlie and Maggie that honestly didn't mind the lack of paranormal happenings. Not really book #1 in the series. Okay, I have to say that this can definitely be read without having read Blackwell's other books. I actually didn't realize that this series was connected to another series until I went to go write this review. Knowing that, though, I feel a little teensy bit cheated. I definitely think I would have had a deeper understanding of the Shifters and Seers if I had read the Timber Wolves series first - I just bought the whole trilogy so I can read it now! Charlie and Maggie. I was thoroughly enchanted with both Charlie and Maggie throughout this entire book. Maggie has an artistic spirit. She's passionate about her art and serious about her future and she's not going to let a silly little death threat get in her way. Charlie is equally focused, but his only goal is to keep the Alpha Pack safe. Charlie has been through so much pain in his life that he has completely turned off his emotions. I absolutely loved Charlie and Maggie together. I spent the entire book waiting for Maggie to completely break through Charlie's shell. I have to admit that I was a bit worried at first that this was going to be another case of instalove - there was definitely an instant attraction between Charlie and Maggie that bordered on being a little too much. So, I was very pleasantly surprised when the relationship developed slowly, first as a friendship and then progressing to something more. I was definitely invested in the romance between these two! Biting humor. From the first line of this book, I was pretty sure I was going to love it, and I wasn't wrong. There were so many times when I found myself laughing out loud at the sarcastically wit in this book. I highlighted a ton of fun lines on my Kindle!! Mystery and history. While the central mystery of the book wasn't a complete surprise (I had a good idea of who the perpetrator was - at least partially), I still found myself wrapped up in a lot of the smaller mysteries in the book and in the history of the Shifters and the Seers (which I would have known about more if I'd read the Timber Wolves trilogy). How was Maggie connected to the Alpha Pack and what was her power? Why was someone out to kill Maggie and the Alphas? I wanted to know! Fragile Brilliance is an excellent paranormal romance with compelling characters and an interesting story. I can't wait to read the Timber Wolves series now so that I can learn more about the paranormal world that Blackwell has created! 4.5/5 stars. 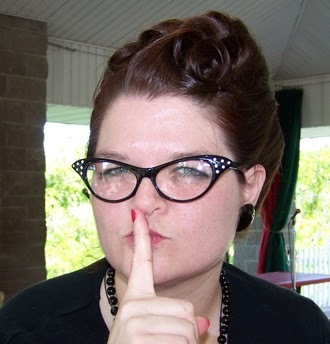 Tammy Blackwell is a Young Adult Services Coordinator for a public library system in Kentucky. When she’s not reading, writing, cataloging, or talking about books, she’s sleeping. “Natti, you need to relax,” Seth finally said. The calm, soft tingle of his touch seeped through her skin, coursing lightly over her nerves and releasing their tension. Her mind and body began to calm down, making her realize how badly every muscle had been physically shaking. 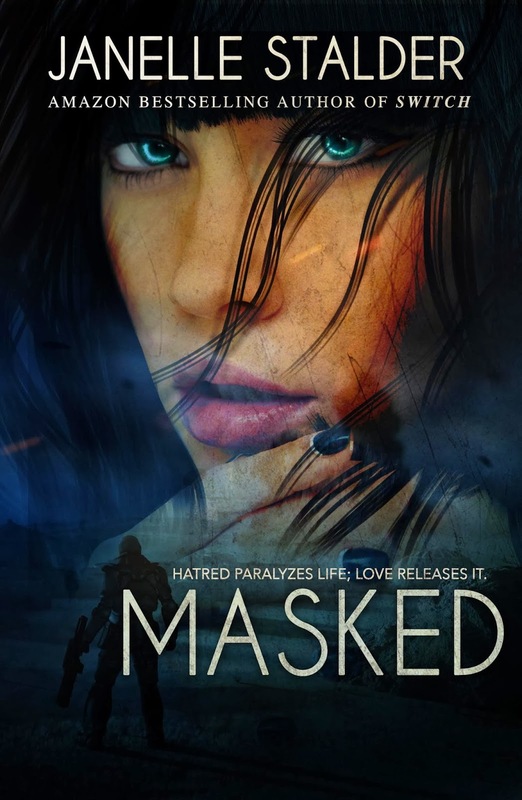 Slowly, layer upon layer of fear and stress simply vanished until she felt nothing at all. She looked up at Seth’s eyes, drawn to their warmth and comfort. “Do what?” Seth’s voice was seductive as he leaned his forehead against hers. His scent of spice cologne, myrrh, and sandalwood consumed her senses, and his eyes captured her soul. 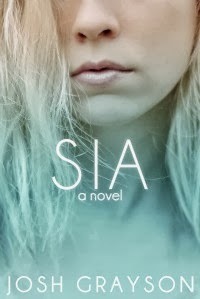 Summary from Goodreads: When seventeen-year-old Sia wakes up on a park bench, she has no idea who or where she is. Yet after a week of being homeless, she’s reunited with her family. At school, she’s powerful and popular. At home, she’s wealthy beyond her dreams. 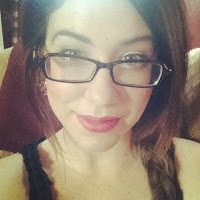 But she quickly realizes her perfect life is a lie. Her family is falling apart and her friends are snobby, cruel and plastic. Worse yet, she discovers she was the cruelest one. Mortified by her past, she embarks on a journey of redemption and falls for Kyle, the “geek” she once tormented. Yet all the time she wonders if, when her memories return, she’ll become the bully she was before…and if she’ll lose Kyle. This is an interesting situation because I actually read this book a good month ago and posted my review on Goodreads. I gave the book 3 stars because while I felt like it was an excellent book for younger YA readers (it's sweet, has a great, uplifting message and is refreshingly chaste - just a few kisses) I also thought it was a little too sweet sometimes and it was pretty unrealistic. However, the author took the critiques in his early reviews to heart and has since updated the book and made some major improvements. While I didn't re-read the entire book, Grayson was kind enough to send us excerpts containing the additions that he made. I'm happy to say that these additions actually addressed most of my major issues with the book! Because of this, I have increased my rating of the book to 4 stars. Sia's lack of common sense. I originally had a long explanation of why I was frustrated with Sia's lack of common sense here. I have to say that, from the excerpts that Grayson sent me, I think he addressed almost all of my issues, at least mostly. I think he now gives a better explanation of why Sia doesn't go to the police, gives Sia more motivation for making what turns out to be a bad decision, and has the homeless woman that Sia meets up with encourage her to seek help - check, check and check. So, this really isn't much of an issue at all any more. 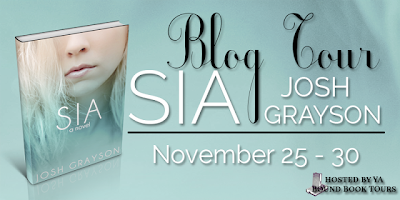 Would I still have felt frustrated with Sia for not getting help at the beginning of the book? Maybe, but I think that Grayson did a good job of giving us real reasons why now. Easily solved problems. Again, Grayson addressed my issues here, to some extent. Sia's amnesia was caused by stress - and there was plenty of it in her life. But, when Sia returned home as a new person, her problems were just a little too easily solved. For instance, her mother's alcoholism was "fixed" with one conversation and a quick trip to rehab (this is one case where a change was made to improve this - while this critique is still somewhat true, Grayson changed the conversation with Sia's mother so that it is a lot more realistic and there's more "pain" involved in getting her to go to rehab). Sia's family's financial troubles are solved a bit too easily as well. It all just feels a little unrealistic. There were other examples as well - the circumstances around their fundraising (luckily Sia and Kyle are both so incredibly attractive that they stand out even at a huge Hollywood event and win over all of the stars! ), the resolution between all of the friends and enemies - it was all just a little too simple and sweet sometimes. The message. The overall message of this book was really positive and I think that younger YA especially would really benefit from and appreciate the book. Sia learns the importance of giving and of treating people - all people - with love and dignity. She realizes the importance of family and true friendships. These are all great lessons! Sia and Kyle. Sia and Kyle are a very sweet couple. I loved Kyle - he was generous and kind, but he didn't let people walk all over him. I also thought it was very realistic that he would doubt Sia at first and that she had to really earn his trust. The amnesia storyline. I definitely thought it was interesting to see Sia slowly learning about herself through others. The idea of someone suddenly being a blank slate and then completely changing personalities is really intriguing to me. And the fact that Sia didn't like who she used to be made it that much more interesting. I could definitely sympathize with her distaste for her old life and for her fears about what would happen once she regained her memories (would she wake up on a park bench again one day, back to the old Sia? It seemed like a valid fear considering what she'd been through). 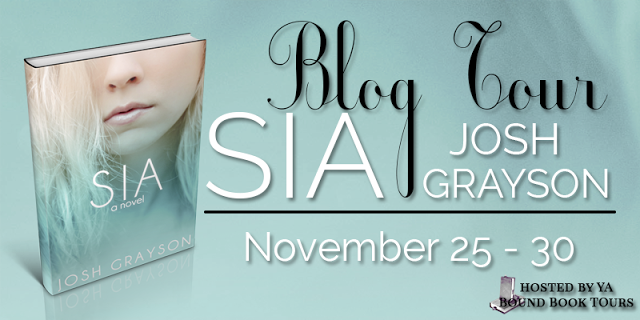 I think that Sia is perfect for a younger YA crowd who wouldn't mind too much if the story gets a bit unrealistic. It has an excellent message and was an enjoyable read. Overall, with the changes that Grayson made to this book, since I first reviewed it, I give it 4/5 stars. I don't often post cover reveals, but I'm really looking forward to this book, so I thought I'd help spread the word! For my review of book #1 in this series (Switch) click HERE! Janelle Stalder was born and raised in Brampton, Ontario. At an early age she developed a love for literature. Her debut novel, Eden, was the first book in a series of four, released in September of 2011. 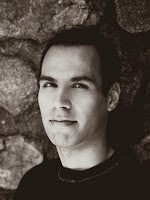 The second book, Eden-West, was released in July of 2012, and the third book, Eden-South was released in March of 2013. The fourth book of the Eden Series, Eden-East, will be release at the end of 2013. She is a strong supporter of other independent authors, and loves to interact with her readers. 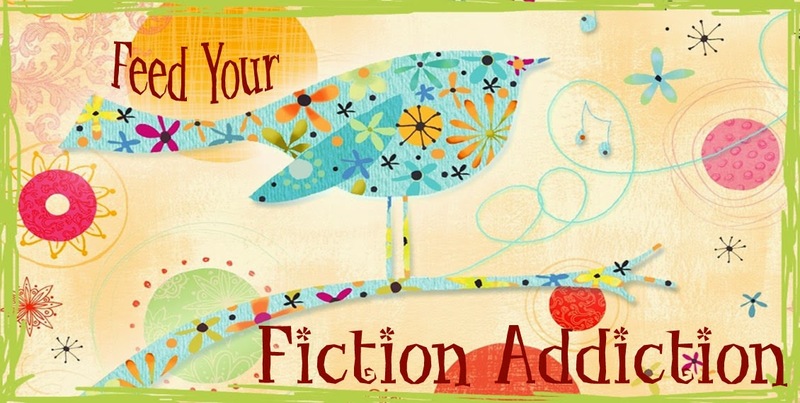 When she's not writing, Janelle is at home with her husband, two children, Aiden and Elora, and her two furry children, Alice and Lily. She now resides in the small town in Ontario in her old, possibly haunted, century home.